This perspective is understandable. Right-wing extremist violence is a major domestic threat. According to the Anti-Defamation League’s database, it has accounted for about 73 percent of terrorist-related murders in the U.S. in the last 10 years. It’s also true, as Warren also suggested, that U.S. President Donald Trump has failed to forthrightly condemn white nationalists, such as after the deadly violence at a white-nationalist rally in Charlottesville, Virginia, in 2017. In recent years, the Department of Homeland Security has even cut funding for some programs focused on countering white supremacism. That said, it’s unrealistic to expect the U.S. government to treat white nationalist terrorism the same way it has treated the Islamist variety. It’s hard to imagine anyone supporting drone strikes on communities of white militias or other racist outposts, for example. Nor would it be wise to launch a diplomatic initiative to engage moderate white nationalists the way the U.S. government in the past has reached out to non-violent factions of the Muslim Brotherhood. So it’s worth examining how the two threats are similar — and different. Start with the techniques the two ideologies employ. In Christchurch, the killer recorded his rampage on Facebook’s live stream. Three years ago, a jihadist streamed the aftermath of his gruesome murder of a police officer and his partner outside Paris. In Charlottesville, a white nationalist killed a protester by ramming his car into a crowd, the same method encouraged by Islamic State. The ideologies themselves also have some features in common. Both radical Islamists and white supremacists envision a coming world war and desire a kind of ethnic or religious purity. Both groups celebrate the killing and torment of innocents. He’s right. For one, white nationalists have no territory they control, as Islamic State did until recently. Nor is there evidence of a state supporting white nationalist groups in the way that Pakistan, Syria and some wealthy Gulf patrons have supported al-Qaida, Islamic State and other jihadists. And while white nationalists gather in the dark corners of the internet, they do not have the kind of rigorous program to radicalize wayward youth first developed by al-Qaida’s affiliate in Yemen through the American-born Anwar al-Awlaki. 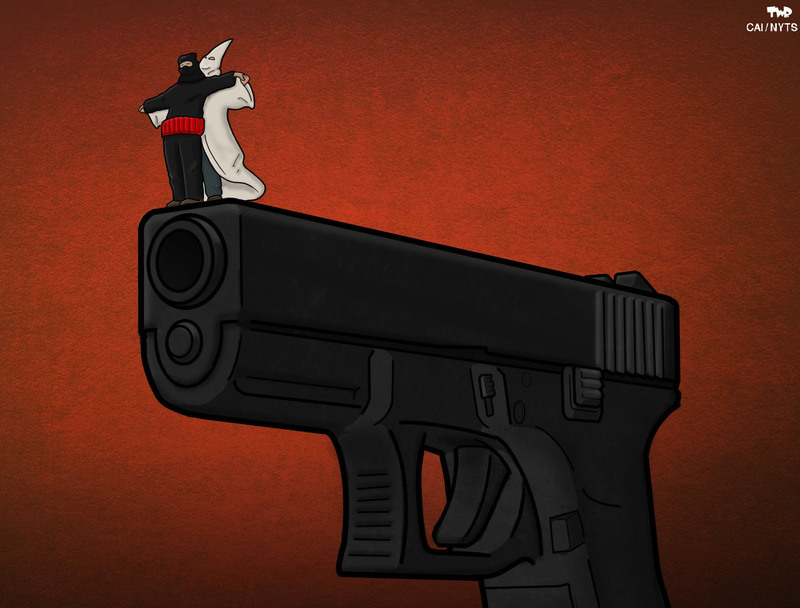 The Islamic State and al-Qaida have inspired the kind of individual murder sprees copied in recent white nationalist attacks in Christchurch and Pittsburgh. But the group has also planned more elaborate terrorism such as the November 2015 massacre in a Paris theater, not to mention the Sept. 11 attacks. So far, white nationalist terror has been far more disorganized and diffuse. So what should be done? Michael German is a fellow at the Brennan Center for Justice and a former FBI undercover agent who infiltrated white nationalist groups in the 1990s. First, he says, local law enforcement has to do a better job. It should prioritize preventing violence like that which broke out at rally last year in Portland, Oregon, that was staged by white nationalists. A lot of these people had committed crimes and should have been known to law enforcement,” he says. On the national level, German says, the FBI should make public its statistics on white nationalist violence — and separate the numbers from its more general statistics on domestic terrorism, which includes everything from radical environmental groups to black identity organizations. It is a mistake, German says, for law enforcement to focus too much on ideology. Not everyone who has despicable ideas about race is “violent or on the edge of violence,” he says. German, a critic of some of the measures federal law enforcement has taken against radical Islamist groups, warns against persecuting members of a group for what they believe instead of what they do. This is the most important reason that the scourge of white nationalism is not like radical Islam: For much of America’s history, white nationalism was the state ideology. It took historic civic protest, Supreme Court decisions and congressional action for this ideology to lose its hold on the state. 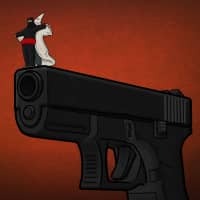 It will take much more than online trolls and terrorists to bring back segregation and Jim Crow, but vigilance is required — and the FBI has considerable experience infiltrating and disrupting neo-Nazis, Klansmen and white identity militias. But the bureau cannot be a substitute for political leadership. Here Democrats have a valid point. As president, Trump has an obligation to make clear that white nationalists have no place in American politics. The horror of Christchurch provides yet another opportunity for him to do so. So far, he has failed to take it. Eli Lake is a Bloomberg Opinion columnist covering national security and foreign policy. He formerly served as the senior national security correspondent for the Daily Beast and covered national security and intelligence for the Washington Times, the New York Sun and UPI.